Graduates today – Where are you? Many new Graduates know what they want to do in their career but find it difficult to secure a job or get on the first step of the career ladder. Many are unclear where their skills and talents are best suited and are confused by the uncertain job market. Some are entering the job market in an area which may be totally unsuitable for them. Many 3-4 year plus “first bounce” Graduates have gained valuable experience but have hit a career crossroads and don’t know where to go next. Many are wanting help from a Coach to improve their performance as they look to accelerate their careers. Are you are a new or recent graduate who wants to develop a career strategy to support your initial move into the job market? Not received effective careers advice at school or university and now looking to know what jobs are out there and establish suitable career options? Do you want to know about your transferable skills, your strengths and which careers and jobs you are most likely to be suited to? Have you been employed for two or three years or in your first role but are unhappy and want to change direction and are not sure how to start? Have never had a CV do you need to put one together? Have you applied for many jobs since graduation but not yet managed to secure an interview? Have you a good degree and a strong academic record and been going to interviews but been unable to convert them into a job offer? 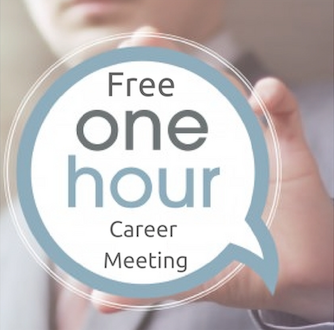 Gateway’s career management experts can help you. Are you an International Student who wants to secure your first job in the UK and know about how to use the UK job market effectively? 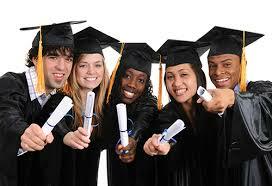 At Gateway Career Management we have worked with graduates from many disciplines. CV feedback and suggestions – Free service. A Gateway Consultant will review your CV and offer tips and suggestions on areas to amend and adjust it. You can then make appropriate changes. CV adjustment – £75.00 (no meeting). This is an online support service where a Consultant will review your CV and write comments in the body of the CV recommending adjustments. The Consultant will you offer context suggestions, flagging and highlighting what to include or what not to include. CV Review – “broader job / career context” (Consultant meeting). (from £150.00). This service involves a one or two-hour face to face (or Skype) meeting and pre meeting preparation time by a Consultant who will have reviewed your CV which you have sent in. The Consultant will meet with you or have a Skype conversation with you and discuss the reason for having a CV in the context of your broader career strategy and short and long term needs. From here the CV is produced for you to check and review. Mentoring and Networking support – £150.00 per annum. For an annual retainer you will have a telephone conversation with a Consultant. We will review and refresh your CV, give you advice on any aspect of your job and career and help you develop and build your network and your Linkedin profile. International Student Starter programme – £300.00. For International Students who are new to the UK, looking for a job or wanting to know how to use the job market our full service includes: CV review to UK acceptable format, covering letter review, Linkedin profile update, tips on managing the job market and guidance on handling job interviews. Payment should be made up front at the start of your programme of support. Payment by installments can be agreed where required in line with our standard terms and conditions.